As you will know we have two main draws at FNL currently, the Daily Draw and the 5-Ball Draw, so whilst we tell you how it works on other pages on the site, we thought it might be helpful to outline that actual odds of winning in these draws vs other lotteries from around the world, so you can compare. As we outline on the page for the Daily Draw we select the winning numbers from all of the number selections in play with active accounts on the site, which of course means there is a guaranteed potential winner each day, which means that it only rolls over when the person with the winning numbers hasn’t claimed the prize. As you can see the odds of winning in this draw is therefore dependent on how many players we have, which is currently around 6,000 to 1, so healthy odds of winning some free money compared to the draws below. The 5-Ball Draw works a little bit differently in that we use a random number generator to select the winning numbers from the number range between 1 and 40, which therefore means you have less chance of winning, but of course that’s why the prize pot is a lot bigger with regular rollovers. 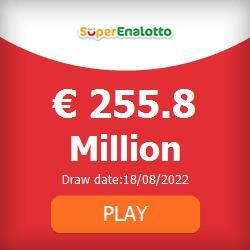 The odds of winning in this draw is 658,008 to 1. Obviously, the jackpot sizes at FNL tend to be a fair bit smaller than the paid lottery draws from around the world but we feel that they fit very nicely on the scale of the odds to jackpots ratio, which is why we have formatted them the way we have. Compared to winning a fiver at 6,000 to 1 odds in the Daily Draw or £1,500 in the 5-Ball Draw at 658,008 to 1 odds, here the odds of winning some of the major jackpots from around the world and their associated odds.